Are We There Yet?? : A Homecooked Meal Cooked by Someone Else! 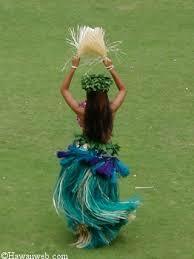 Today was that most wonderful of days that so many of us look forward to whenever it occurs - payday! - so I decided to take Amanda out to dinner at one of our local eateries after we ran a few errands. I'd like to think that I work hard enough at my job and put in enough hours that I can take the kid out to eat once every two weeks as long as we don't overdo it. 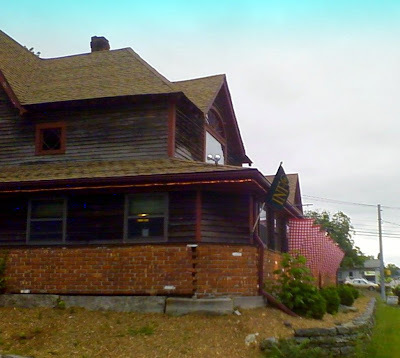 Tonight's choice of eatery was Old Tymes Restaurant here in Norwich, a one-of-a-kind family owned place that serves up excellent home cooking with entrees like meatloaf, roasted turkey, Shepard's pie, and - as advertised - prime rib! 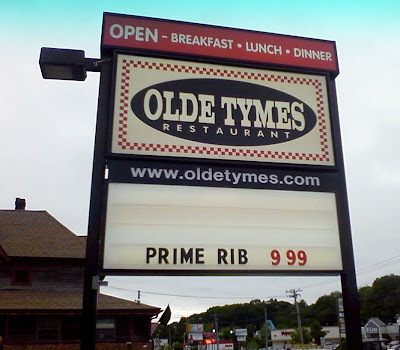 They have a radio jingle that says "at Olde Tymes Restaurant, home is just a taste away" and that's the truth! Breakfast is especially good here and even better when you're treating your newly-ex-husband to it after leaving court upon the completion of your divorce! Add your best friend to the table and it makes for a wonderful memory but alas, I digress! One of the things I like best about Olde Tymes is that when you sit down at your table, the first thing the waitress does is bring over a basket with homemade blueberry muffins and biscuits that are fresh and warm and a great holdover until your food gets there. Yep, it's definitely comfort food of the highest caliber! Tonight I ordered one of the daily specials - the hot roast beef sandwich - while Amanda had her usual - a Rodney Burger. Named after the man who owns the place, the Rodney Burger is a big ole' beef patty that is deep-fried and served on a bulky roll with cheese and gravy. Served up with a slab of homemade fries, it's a heart attack on a plate but it's just oh-so-good that you never think about that part! At least not until you're licking your fingers! If you're really adventurous you can even spice it up a bit with the jalepenos that are served on the side! The dining room was fairly empty while we were there this evening as it was still fairly early but there were probably a good five or six other tables of folks either in the middle of their meals or waiting for their food to arrive. It's definitely a casual atmosphere with the local country radio station playing in the background - so casual, in fact, that when Lee Greenwood's "God Bless the USA" came on, a young man at one of the tables across from us broke out into song and joined right in with Mr. Greenwood. Amanda had her back to the soloist so wasn't sure who it was but as I looked up, I caught the eye of the mom who was sitting across from her singing son and we both smiled - sharing one of those "Mom" moments. Amanda caught that and when she asked me what I was smiling about I told her that it was nothing even though it was definitely something that anyone who transmits or receives Mom code knows. That young man may have been "proud to be an American" as he sang along with the song but I knew for sure that his mom was proud that he was her son. Anyhow, there's no particular point to this post other than to take my mind off of the upcoming heat wave this weekend and the fact that I am going to once again wish I had a couple of basement dehumidifiers as no doubt by the end of the weekend my cellar is going to start having that musty, mildewy smell to it that I so hate and that lasts all summer long. 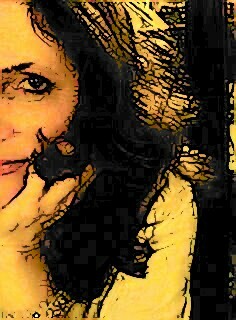 That and I wanted to somehow work in the pictures I had taken with my cell phone of Olde Tymes! I hope old is gold and old is the best. Oh yummy, I'm hungry now! I was in a department store not long ago when a patron broke into a spiritual Gospel song (have no idea what it was) and decided to "hold church" in the middle of the aisle. It was "interesting" to say the least! Sounds like you had a great time with Amanda. YUM, Amanda's burger sounded sooooo goood! i love places like that! I love places like that, too. I can see you & me & Mags and Miss Bee & Sarge and CallieAnn & everybody all sittin' round eating deep friend burgers. Dayum, now I'm hungry, too! Sounds like a fun eveningn with some good food. I remember how special it used to be to go out to dinner, because we didn't do it that often. Choosing the restaurant was always the key. And then it was just the three of us together, me and my mom and my sister, laughing and having a good time. That sounds like a fun restaurant. Casual, friendly and comfort food all around. Love the concept of a "Mom Code."